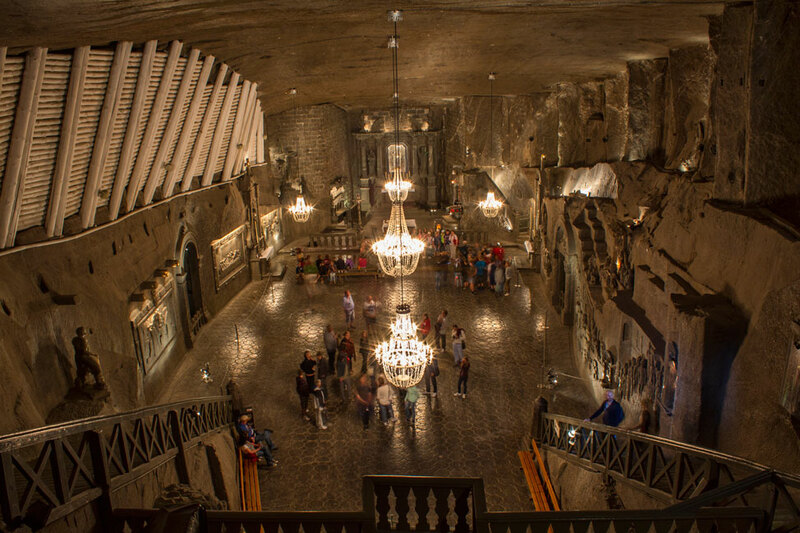 Poland’s largest tourist attraction (although completely unknown to us until we began researching our visit), sits 100 meters below the ground. And it’s huge. 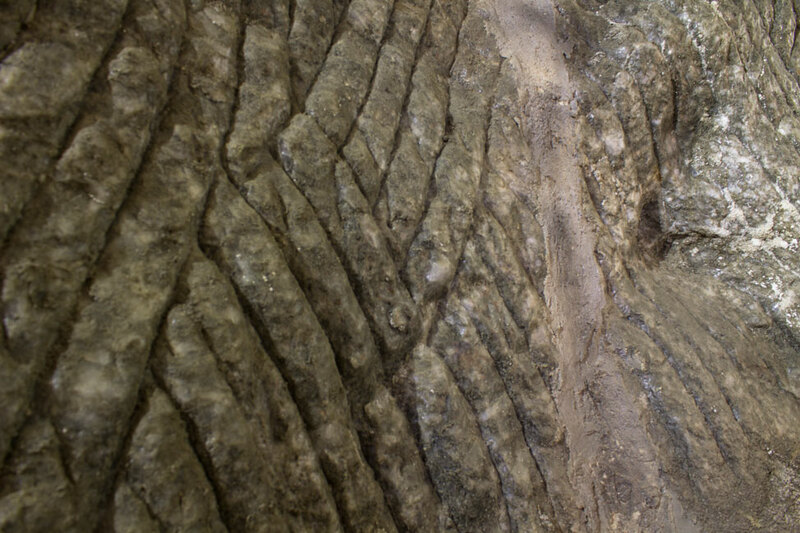 Beyond the tourist route, its actual depth is 327 meters and is almost 300 kms long. 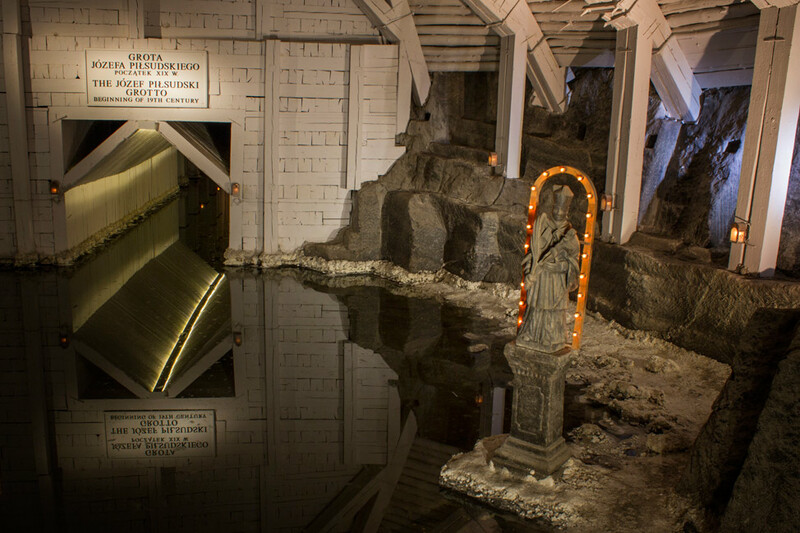 Work began in the salt mine in the 13th century, and it provided table salt up until just 6 years ago. We were (probably appropriately) warned not to lick the walls. Water seepage into the mines have created some beautiful underground lakes. 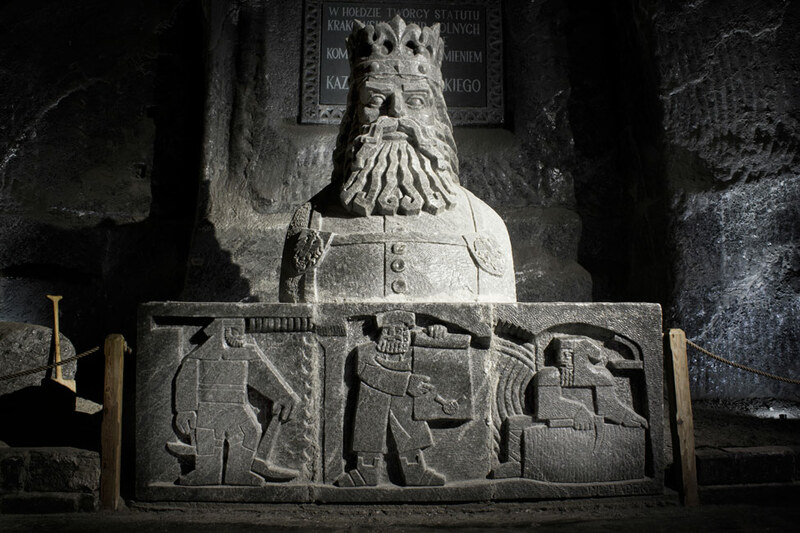 The most amazing thing about the mine is the number of sculptures throughout. 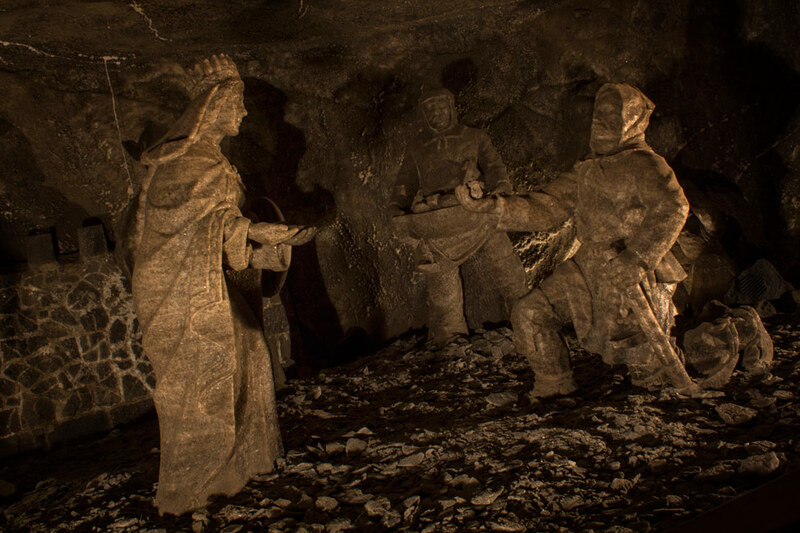 Hand carved sculptures, nonetheless, made by the miners themselves and entirely out of salt. 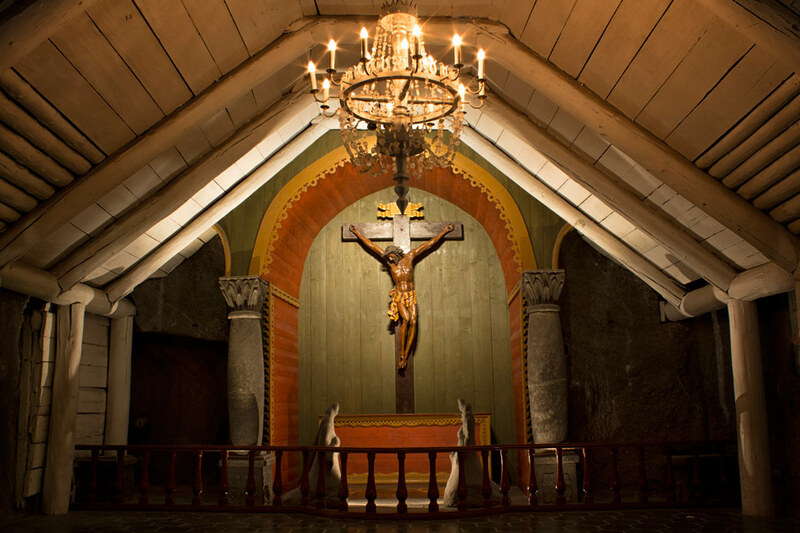 And they didn’t just stop at sculptures, within the labyrinth of the mine are two chapels and a magnificent cathedral – the deepest in the world. Weekly masses, weddings, symphonies, and other important events are held regularly. Even the chandeliers are all salt. The mine is also home to a respiratory clinic to help give you breath. 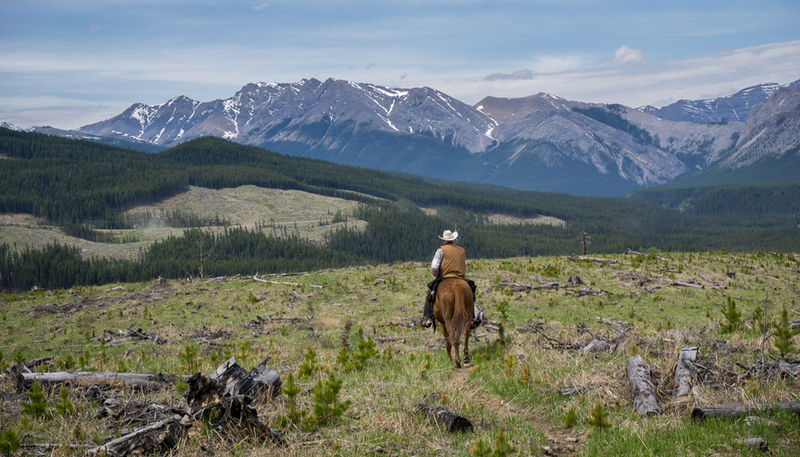 The combination of the intense crystal minerals and fresh air can significantly help with asthma and allergies. 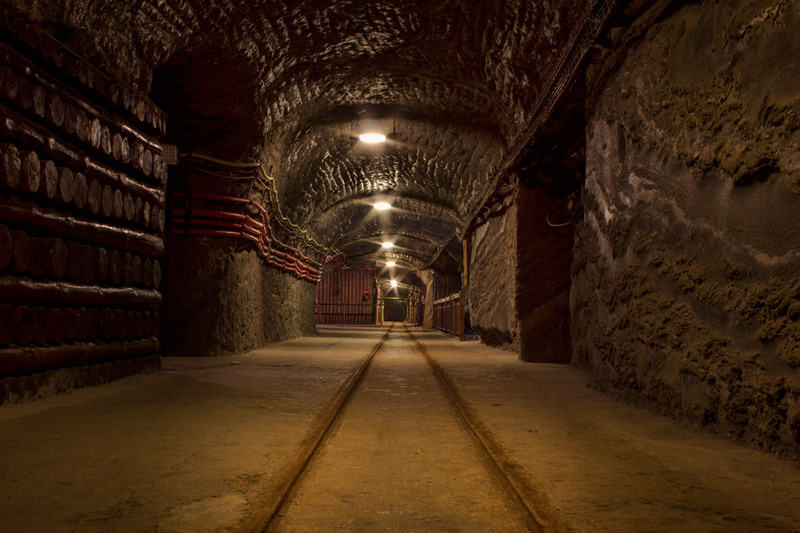 Which is ironic, given that the mines themselves are (in a word): breathtaking. 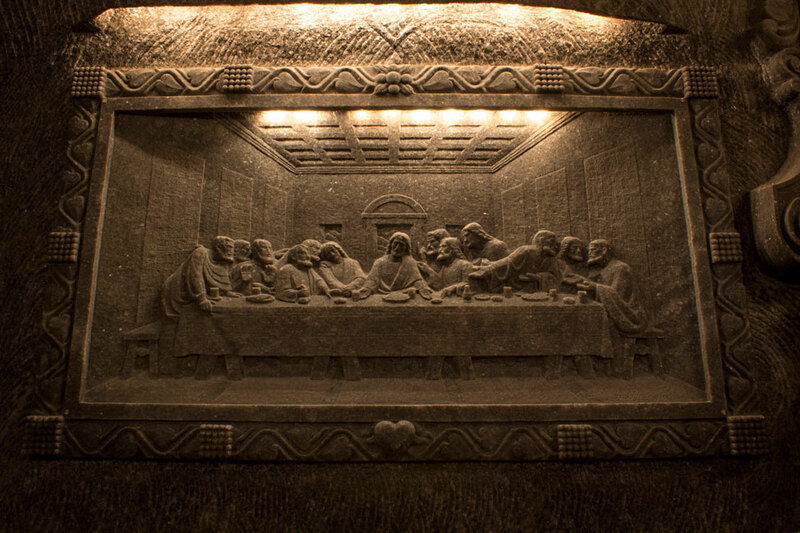 Our visit to Wieliczka was courtesy of the Poland Tourism Board. All opinions, as always, are our own. I have been there! Totally random experience. Here is a tip, watch your head. That salt is hard. Shaun recently posted..I’m a writer! Haha! 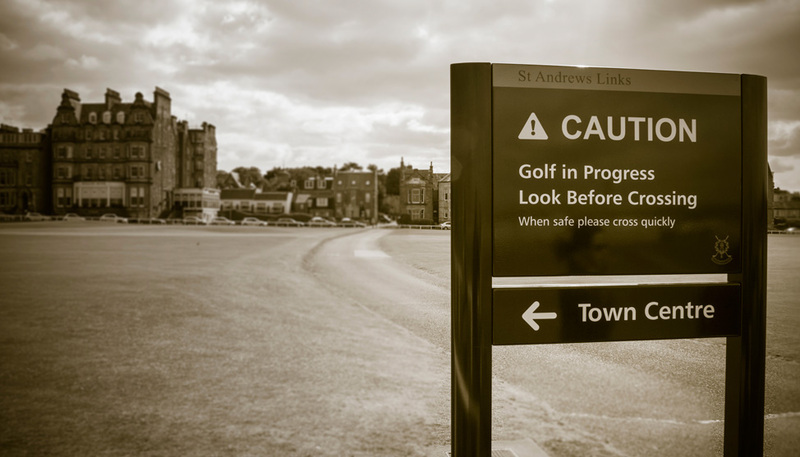 Yes, it is, although I had no such collisions, thankfully. 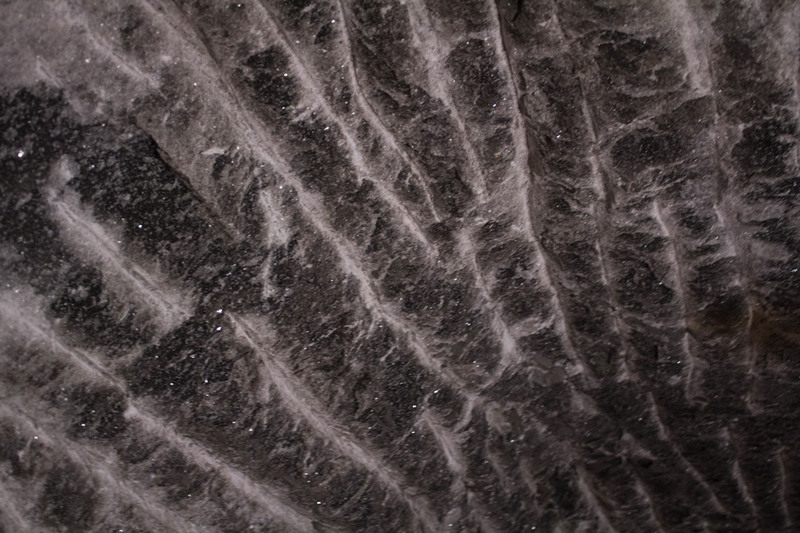 Those salt miners made beautiful sculptures! I had no idea there was such a spectacular scene below the ground. And how the heck do you make a chandelier out of *salt* anyway? This is one of the coolest places I’ve ever seen (well, read about!). Such an interesting and unique place to explore, I’ve never seen anything like it. And those chandeliers! Awesome. Poland is quickly climbing up my list of future travel destinations. 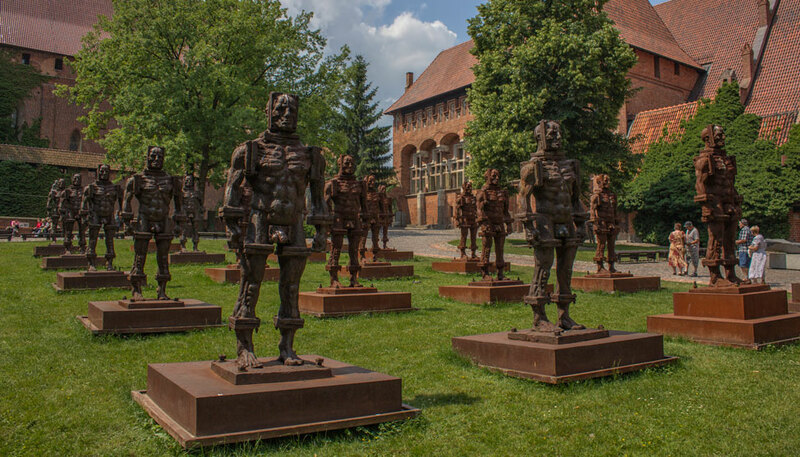 We had only briefly read about it before visiting Poland and so hadn’t heard about it either. A well-kept secret I think! Wow what an incredible place! My dad forwarded me an email years ago, when forwards were the thing to do, of pictures of the salt mines. These are the number one thing I’d like to see in Poland! There is so much to do in Poland, but this visit was definitely a highlight. Really wish I’d visited the salt mines when I was in Poland a couple of years back. From everything I’ve seen (including your photos) its well worth the trip. Blasphemy! 🙂 You must go back now! I had no idea that salt mines could help with asthma, etc. Beth recently posted..Is Japan Really That Expensive? This place is astonishing! I can’t get over the salt chandeliers! wow how impressive is this with all these amazing carving…so cool! Fantastically curious. I’ve visited the salt fields in southern Cambodia but I’ve not seen a salt mine before. The art is incredible (and that interior photo with the water reflection) – Kudos! 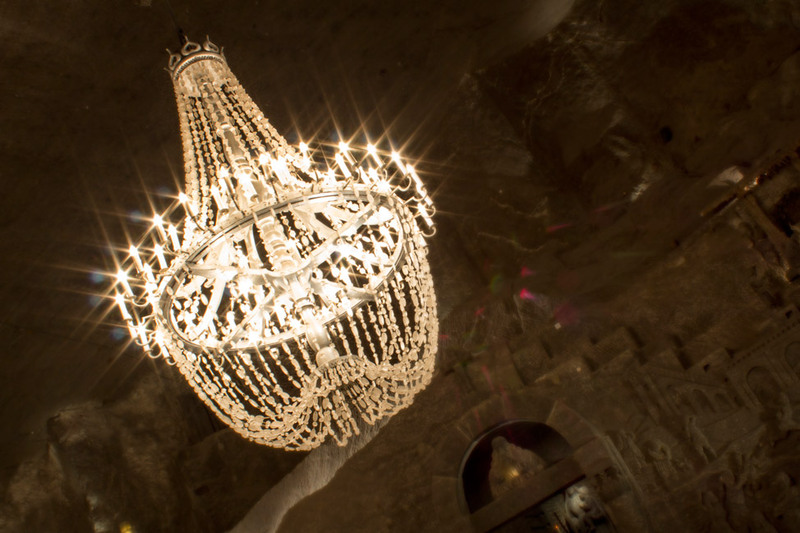 Breathtaking is the perfect word to describe this cathedral / gallery / temple of a salt mine! The images are stunning from the beginning and only get better as you scroll down the page! 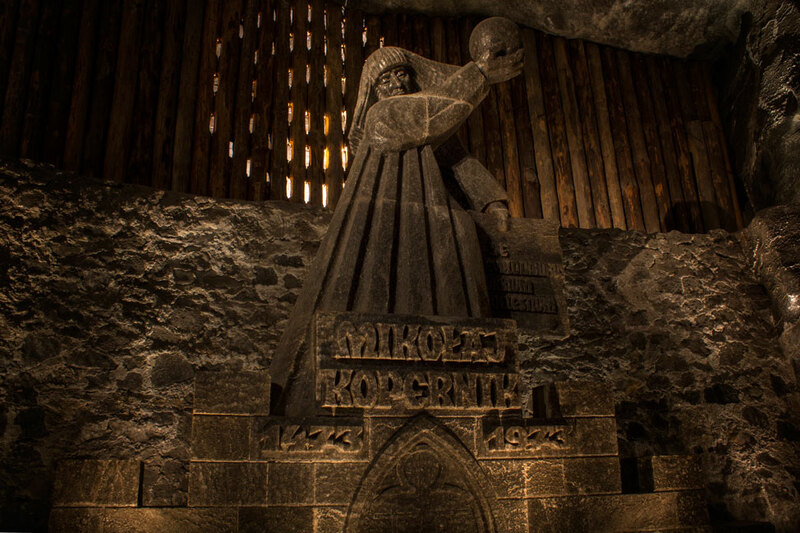 I can’t get over the sculptures that you documented throughout the mine, the talent of the miners, or their creativity in sculpting such extraordinary spaces, religious relics and crystals for chandeliers! Amazing! Wow, what a place. I’m a big fan of visiting mines. We actually did one just now with the kids in NJ, nothing at all what you saw in Poland. I also have never heard of this place until now, but I am certainly intrigued enough to see it one day – wow! This sounds really interesting, and I love all the different sculptures. I’m glad you didn’t lick the walls! Wow, thats pretty impressive. Nice shots! Thanks for sharing! Was I not supposed to lick the walls at La Catedral de Sal in Colombia? Oops! Wow! I’ve never heard of this place. Looks incredible! !